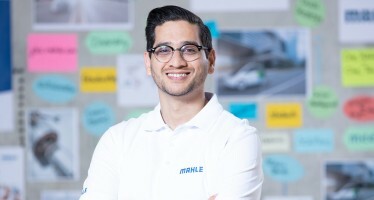 MAHLE Powertrain awarded “Test Facility of the Year"
MAHLE Powertrain is a global Engineering Consultancy that specialises in the design, development and integration of advanced internal combustion engines and electrified powertrain systems. As recognised experts in these fields, MAHLE Powertrain is engaged in the extensive research, development and application of new traditional and advanced drivelines into cost-effective, production feasible solutions for enhanced efficiency, improved fuel economy and lower emissions. In addition to the head office in Northampton, UK, MAHLE Powertrain also operates from technical centres in Germany, USA, China and Brazil. MAHLE Powertrain has around 300 employees based in the UK and 500 in total worldwide. Here you can view our technical white papers.